Step 1: Start Kernel for PST Split application. 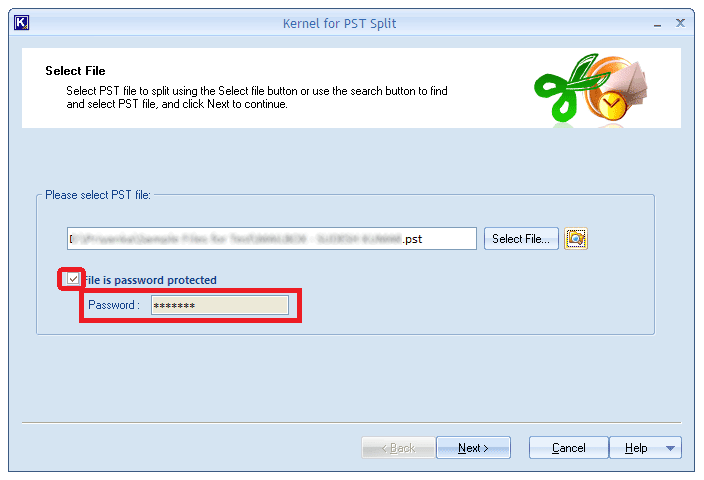 Step 2: Select the PST file that you want to split. For Password-Protected PST files, click the check box placed before File is password protected and provide the correct password in the text box. Hit Next. Step 3: Choose Create separate PST file for every selected folder from the options given in the Select Split Option window. Also, specify the folders that you want to split and store separately by checking the boxes against the folder names. (all the folders are selected in this example). Proceed with Next. Step 4: Specify the destination folder for storing the resultant files. Step 5: You can see the status of split process in the progress window. Also you can note the location of the PST files. After the completion of the process, click Finish to exit the application window. 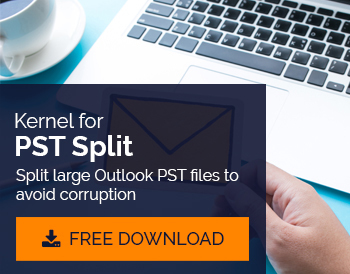 Kernel for PST Split allows you split PST files as per your requirements. This tool has a user-oriented interface so that anyone can use it without technical knowledge. Moreover, it keeps the original data intact while splitting the PST files. To split your PST files folder wise, simply select the folders for which you want to create a separate PST and the specify destination folder to store the new files.